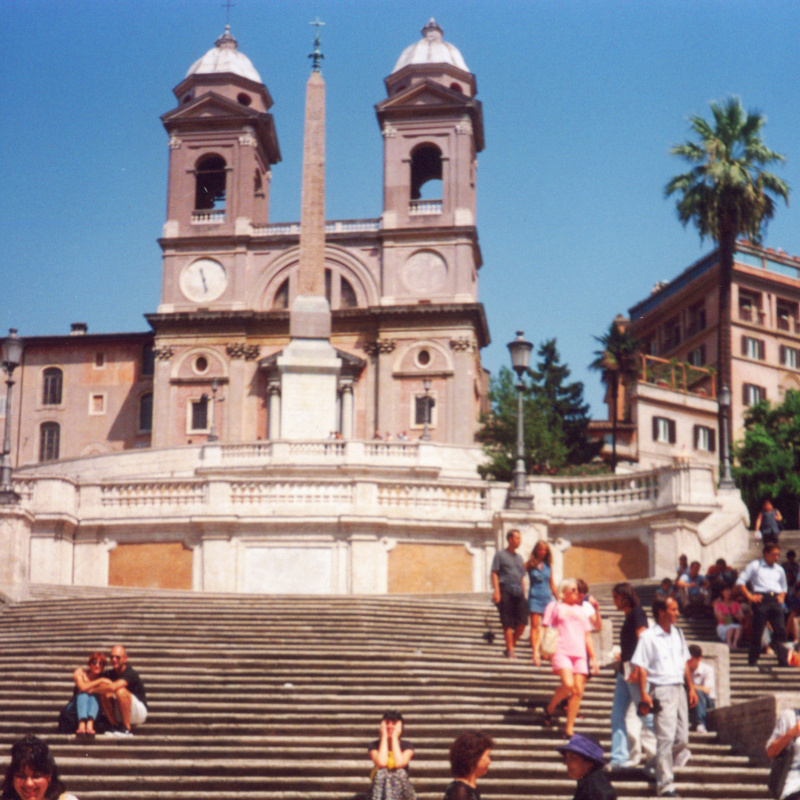 Santissima Trinità dei Monti is the French national church at the top of the famous Spanish Steps. Founded in the 16th century on land purchased by King Charles VIII of France it was designed by Carlo Maderno and predates the stairs by almost one hundred and fifty years. The two domed clock towers once told different times — one showing Italian time and one showing French time. In the church are frescoes by Daniele da Volterra. The Assumption of the Virgin and one of his most famous works The Descent from the Cross were nearly taken to France during the French occupation of Rome in the 18th century. Also inside are frescoes by Giovanni Battista Naldini, and Stories of the Old Testaments (1537) by Perino del Vaga which were completed by brothers Taddeo and Federico Zuccari in 1589. In the sacristy ante-room is The Coronation of the Virgin, Annunciation and Visitation fresco cycle by Taddeo Zuccari. I visited the church in 2013 when it was under restoration and a guard kindly took me through a hidden door from one of the chapels into the sacristy, where I could purchase a guide book about the church.